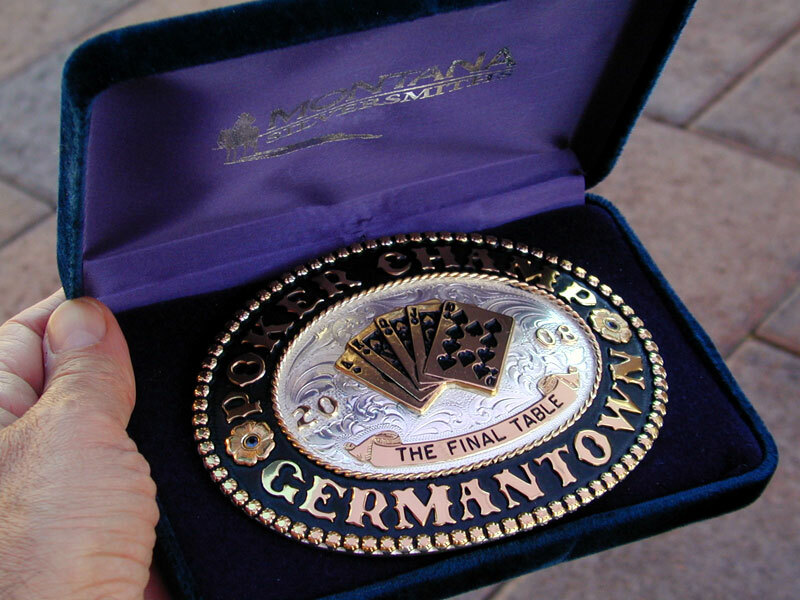 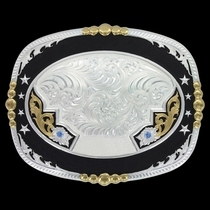 Montana Silversmiths Trophy Buckle 2131. 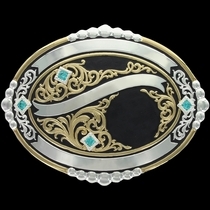 3 3/4" x 5". 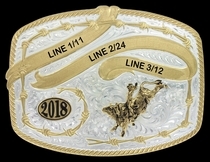 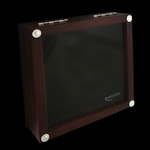 Displays bold lettering, an engraveable ribbon and your choice of stones. 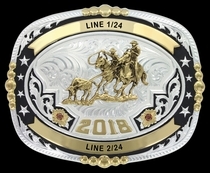 Date Trim is included in price of buckle. 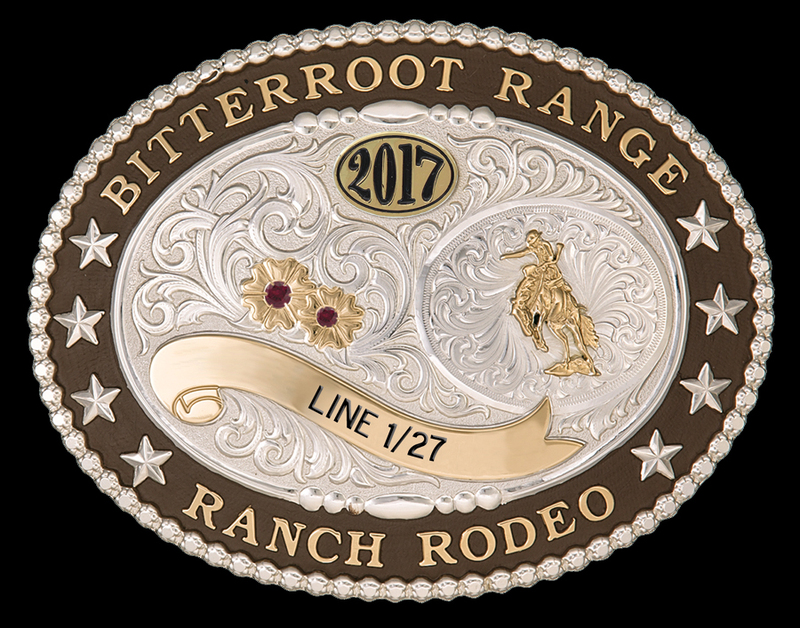 Shown with Saddle Bronc figure #626S, Leather Brown paint and ruby stones. 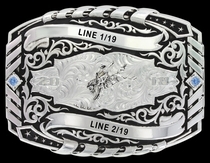 PLEASE NOTE: If back engraving option is chosen, stones may have to be omitted from buckle front.